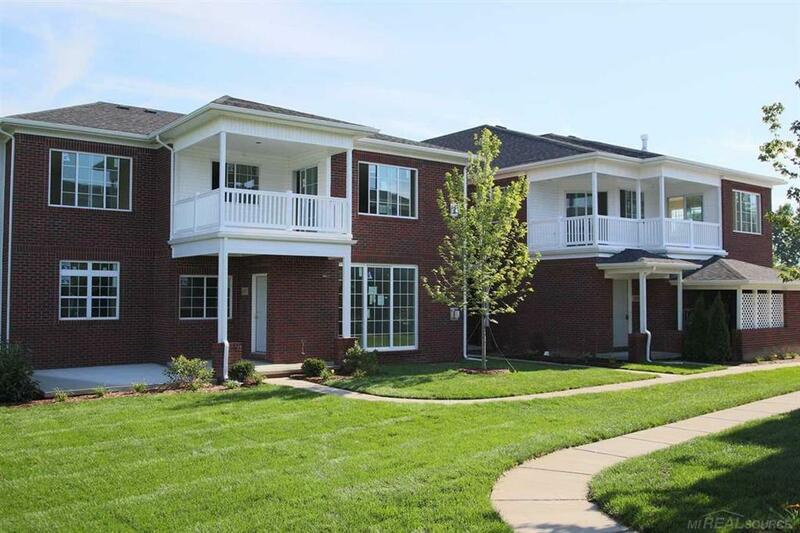 BEAUTIFUL TWO-BEDROOM, 2-BATH UPPER UNIT RANCH-STYLE CONDO UNDER CONSTRUCTION IN BOULDER POINTE LOCATED ALONGSIDE THE MACOMB ORCHARD TRAIL. GAS FIREPLACE IN LIVING ROOM. ACCESS TO COVERED BALCONY FROM LIVING ROOM AND OWNER'S SUITE. KITCHEN WITH GE STOVE, DISHWASHER AND MICROWAVE. LARGE WALK-IN CLOSET IN OWNER'S SUITE. HDMI PREP AT FIREPLACE. RECESSED LIGHTING. ONE-CAR ATTACHED GARAGE. BUILDER'S WARRANTY. STILL TIME TO SELECT COUNTERTOPS AND FLOORING. OCCUPANCY--MID-SUMMER 2019. Photos and Virtual tour are of comparable floor plan, and not of this home.